If you find these sources interesting, some are also listed under the “Promos” section. 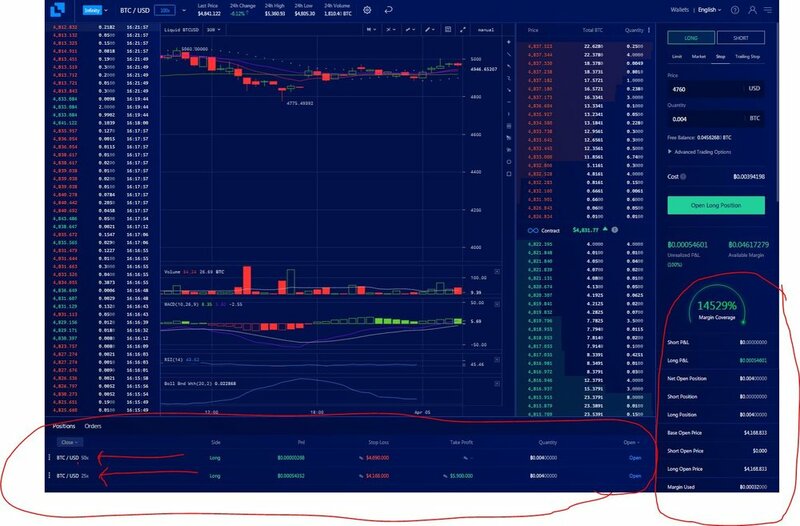 Here is how you set a stop/loss for your positions. ALWAYS use a stop-loss when using leverage. For a list of coins on the exchange, scroll to the bottom of this page. For U.S. residents, we FINALLY have a legit and regulated exchange that offers 100x leverage. 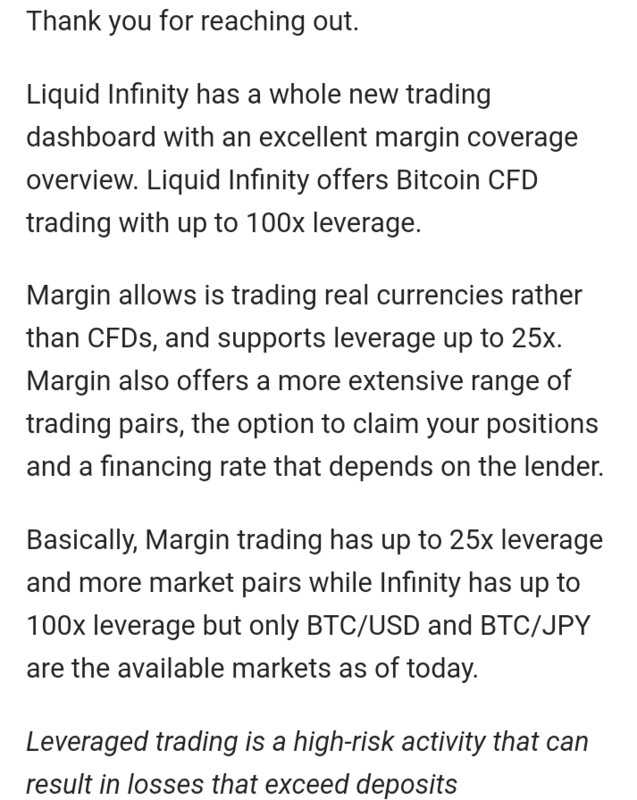 A fully-regulated Japanese exchange that accepts U.S. residents who wish to use leverage for margin trading. Very similar to Prime XBT in terms of easy U.I. and very smooth and fast transaction speeds. Liquid is also one of the most “liquid” exchanges in terms of volume. You can trade in many currency pairings which can help you pick up some extra percentage points in gains if you’re paying attention. The interface is also customizable to accommodate your preferences. I’ll take this over using Bitmex + VPN. If you forget to use the VPN or your VPN gets dropped, you can kiss your funds good-bye as you are violating their terms of service. The same can be said for all poker sites that do not allow residents of a certain county to participate. They will confiscate your funds and close your account. Why risk that when there is finally a legitimate option? Initially, I was under the impression Prime XBT was open to U.S. residents. I was notified by Prime that I needed to withdraw my funds so they could close my account. 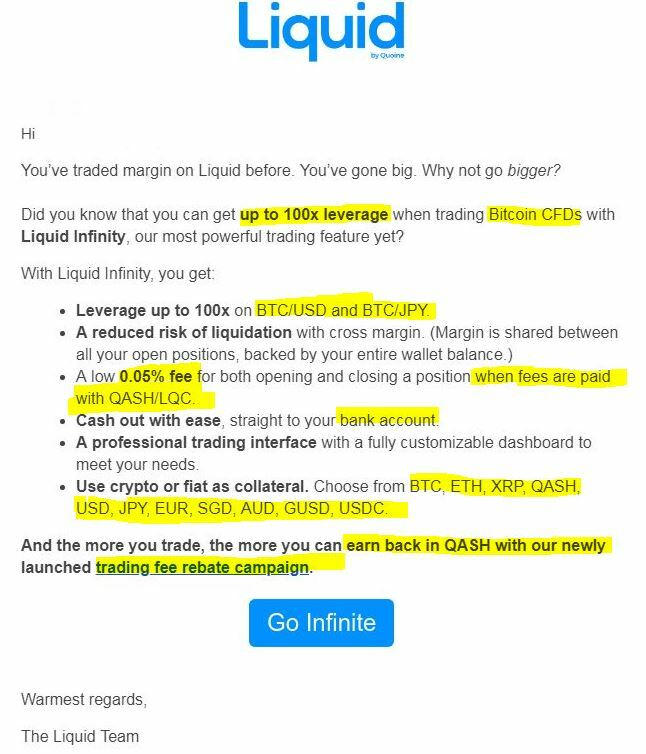 Since then, I’ve moved my funds to Liquid exchange. I deposited a small amount for educational purposes on Liquid thinking that 25x was the max leverage available… turns out I was wrong. Again, using leverage is EXTREMELY risky… ALWAYS use a stop-loss and NEVER invest more than you can afford. This is labeled “NO RISK” due to there being pop-ups but they are limited pop-ups and can easily be avoided. Disclaimer: While I HAVE used this consistently, I have YET to purchase ANY traffic for my site. I am still accumulating and when this site is 100% finished, I will drain both accounts to flood this site with traffic. BOOST YOUR TRAFFIC with this site (while earning some Bitcoin on the side). The referral program ALONE makes this a worthy source IF you are committed to the long-term. Growing a network of passive income takes TIME, this is NOT a get-rich-quick-scheme. This is labeled “NO-RISK” due to there being pop-ups but they very limited pop-ups and can easily be avoided. Half the ads will need to be closed manually and the other half close automatically. BOOST YOUR TRAFFIC with this site (while earning some Bitcoin on the side). Although this doesn't pay out in Bitcoin like PaidToVisit, I STILL believe this is worthy of my time IF the traffic these coins brings are ORGANIC. Time will tell but until then, I will be stacking these, for free.